New Rochelle, NY, May 28, 2018–Diabetes in pregnant women can have serious health consequences for both mother and baby, and the U.S. Centers for Disease Control and Prevention (CDC) has identified four target areas in which increased surveillance, screening, and preventive care can improve maternal and infant health. CDC researchers provide an up-to-date review of the science related to diabetes during pregnancy and describe the activities they have implemented at different stages of pregnancy, from preconception to postpartum care, in an article published in Journal of Women's Health, a peer-reviewed publication from Mary Ann Liebert, Inc., publishers. 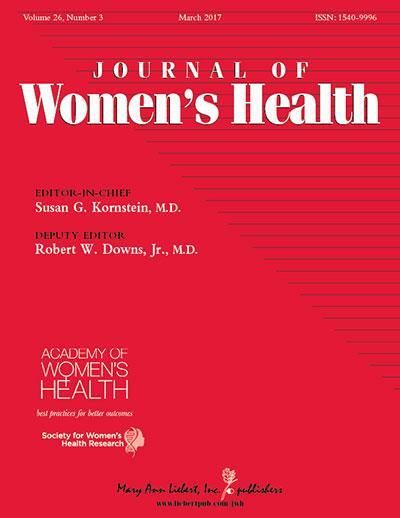 The article is available free on the Journal of Women's Health website. Coauthors Shin Kim, MPH, Nicholas Deputy, PhD, MPH, and Cheryl Robbins, PhD, MS, Centers for Disease Control and Prevention, Atlanta, GA discuss the risks associated with preexisting and gestational diabetes and highlight four main preventive activities in the article entitled "Diabetes During Pregnancy: Surveillance, Preconception Care, and Postpartum Care." These include improved surveillance of pregnant women for diabetes, preconception care for women with preexisting diabetes, postpartum screening for women with gestational diabetes, and programs designed to prevent the progression of gestational diabetes to type 2 diabetes post-pregnancy. "A greater awareness of the risks of diabetes during and after pregnancy and more widespread efforts to identify pregnant women with preexisting or gestational diabetes may help mitigate some of the risks, particularly through improved glucose control and the opportunity to introduce screening and lifestyle interventions as part of postpartum care," says Susan G. Kornstein, MD, Editor-in-Chief of Journal of Women's Health, Executive Director of the Virginia Commonwealth University Institute for Women's Health, Richmond, VA, and President of the Academy of Women's Health.